President Pranab Mukherjee, Vice President Mohammad Hamid Ansari and Prime Minister Narendra Modi on Wednesday greeted the nation on the occasion of Buddha Purnima, and highlighted the importance of his teachings. In his message, President Mukherjee said that Lord Buddha is a resplendent symbol of lofty idealism and concern for humanity. "The messages preached by Tathagatha, of compassion, non-violence and equality serve as beacon-lights for humanity in its path towards spiritual emancipation," President Mukherjee said. "Lord Buddha's profound teachings of equality, love, kindness and tolerance are of increasing relevance in the present times," he added. Meanwhile, calling on people to commit themselves to the path of compassion and tolerance shown by Lord Buddha, Vice President Hamid Ansari asserted that, the eternal message of peace, moderation and compassion bestowed by Lord Buddha has continued to guide people towards removing human suffering and miseries. Prime Minister Narendra Modi also took to twitter and greeted people on Buddha Purnima. Today people are remembering the ideals of Gautama Buddha and his noble thoughts will continue to guide generations," Prime Minister Modi said. "Gautama Buddha inspires people to work towards a harmonious, just and compassionate society," he added. 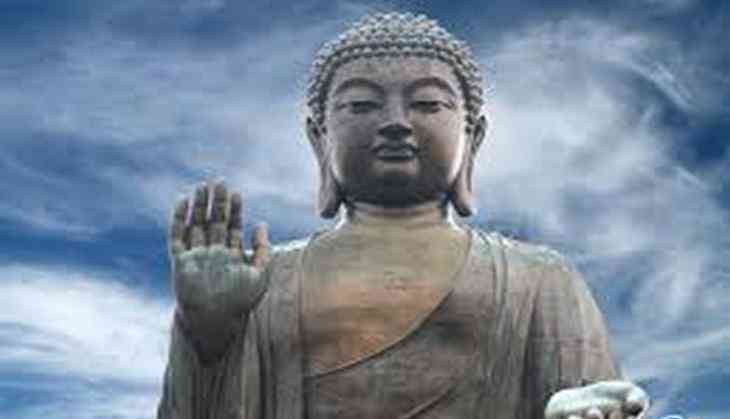 Buddha Purnima is being celebrated today. This day does not only marks the day when Gautam Buddha was born but it is also the day when he attained Nirvana under the Mahabodhi tree at Bodh Gaya.